Clark Air Base, February 1, 2017 — Representatives from the U.S. Embassy in the Philippines’ Joint U.S. Military Assistance Group (JUSMAG) delivered new military equipment to the Philippine Army and Marine Corps January 27. 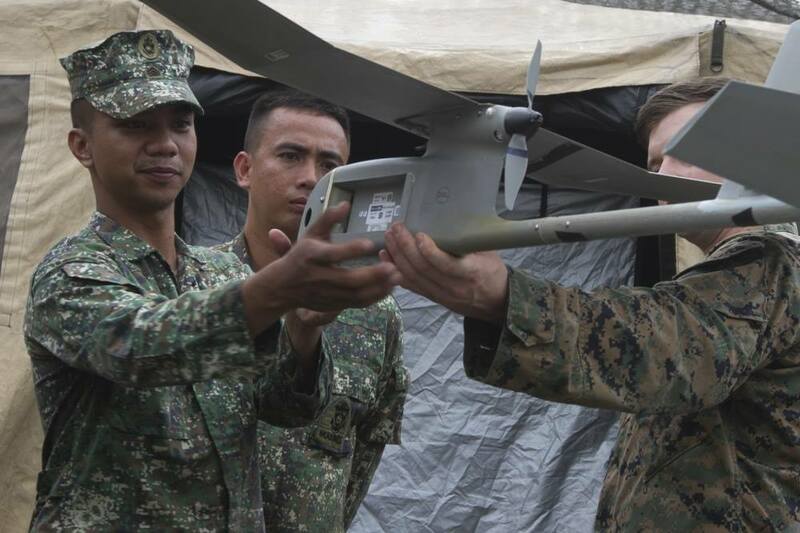 The transfer included over 400 M203 grenade launchers, 85 M40A5 sniper rifles, and a RQ-11B Raven unmanned aerial vehicle system consisting of three drones for exclusive use and ownership by the Armed Forces of the Philippines. The AFP procured the small-arms weapons through the U.S. government’s Foreign Military Sales program. This equipment will help enhance the AFP’s counterterrorism capabilities, and protect Philippine security forces actively engaged in counterterrorism operations in the southern Philippines. In addition to the small-arms transfer, the U.S. government provided a Raven unmanned aerial vehicle system through the grant counterterrorism program. 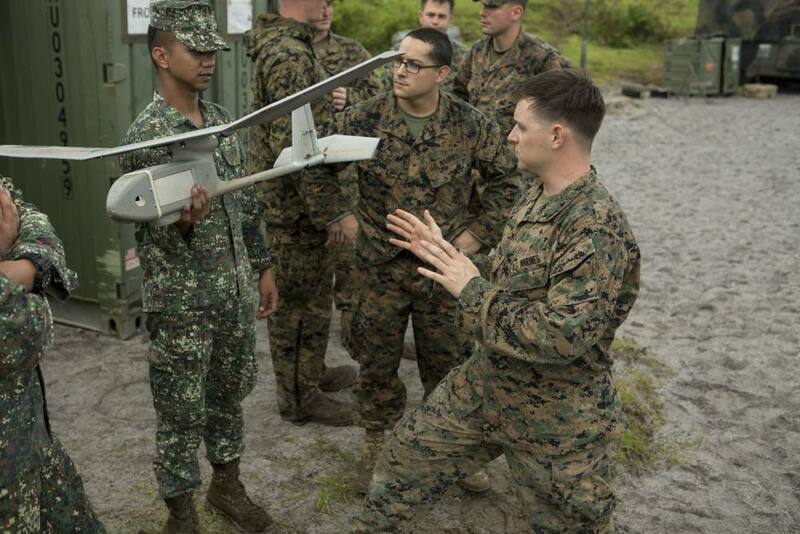 As part of the grant, and in addition to the three unmanned aerial vehicles included in the Raven system, Philippine service members received training in the United States on its operations and maintenance. 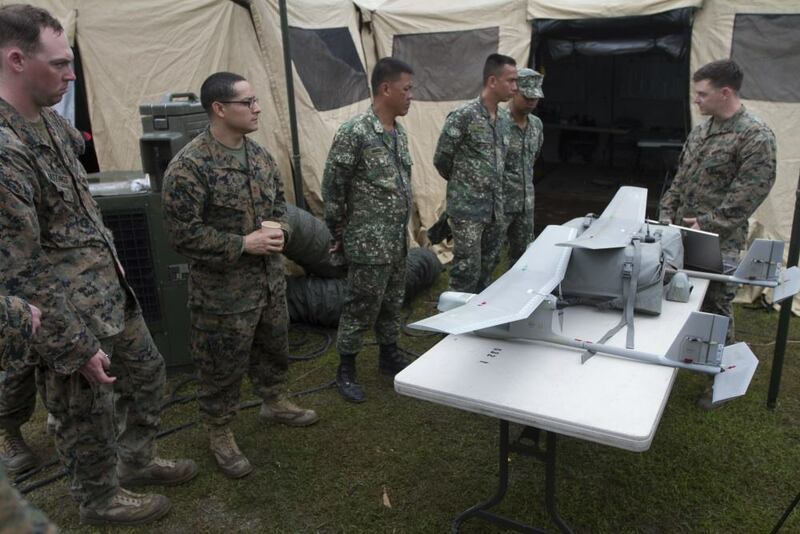 The Raven is a hand-launched unmanned aerial vehicle that will increase the AFP’s capabilities to conduct intelligence collection, mission planning, and reconnaissance operations. The equipment transfer and continued bilateral training efforts demonstrate the commitment between the Philippines and U.S. to work towards safer communities and the eradication of global terror networks. will these be for the marines or the army? if the marines, will the mitts program be shelved and just get more ravens thru JUSMAG? By way of a shoulder-tap: This is for the PMC. This is not a replacement to the MITTS project, since that is an actual AFP Modernization acquisition. The Raven came by way of a counter-terrorism grant. Any idea which variant the AFP will get? In mid-2015, the U.S. Marine Corps tested Harris Corporation's Small Secure Data Link (SSDL), a radio device that fits onto a Raven's nose to provide beyond line-of-sight communications for Marines down to squad level. 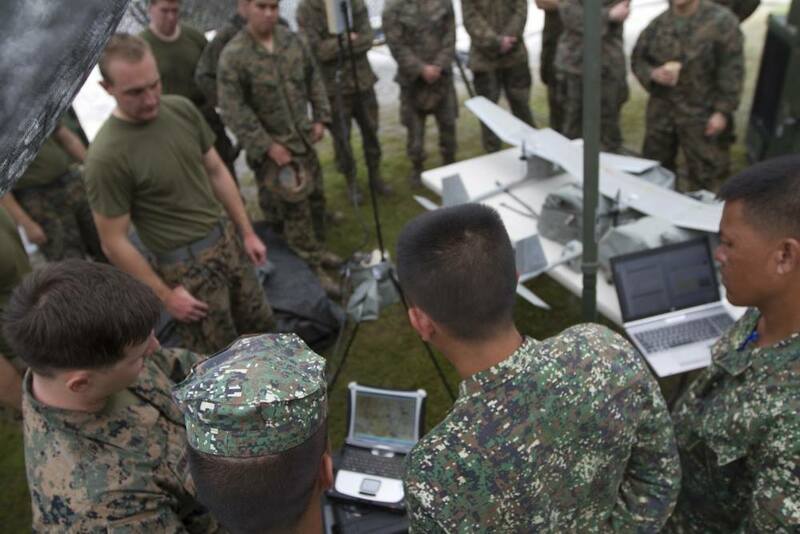 Acting as communications nodes for ground forces has become an important function for UAVs, but has been restricted to larger platforms like the RQ-4 Global Hawk or RQ-21 Blackjack. 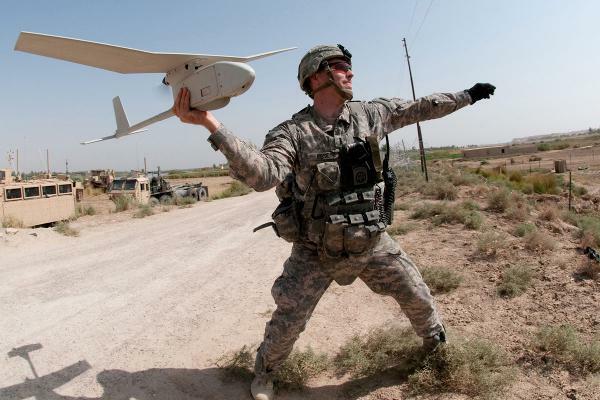 Being certified for 'Secret' classification and at just 25 cubic inches (410 cm3) (measuring 3 in × 5.3 in × 1.6 in) and weighing 18 oz (510 g), the Harris SSDL allows the small Raven UAV to extend communications for troops in the field. In August 2015, selected units began receiving upgrades to their Raven sensors. The Raven Gimbal is a rotating camera with a 360-degree gimbal, which replaces the fixed camera that required maneuvering the entire aircraft to look. The new camera can also be switched between day and night settings without landing and swapping sensors. A Vietnamese website shared some photos taken of US and PH personnel handling the RQ-11B Raven in Marawi. "A Vietnamese website shared some photos taken of US and PH personnel handling the RQ-11B Raven in Marawi." Sorry. Just read the translation of the VN website which said it was a Raven.